By now we should all know that for a successful localization project, your business needs the right Translation Management System (TMS) that enables advanced project management and collaboration features. Not so long ago, we added two options to our advanced project management, namely, the availability of choosing the project manager while setting up the project and adding an In-Country reviewer when you edit the project details. Both options contribute to our translation platform being even more collaborative. 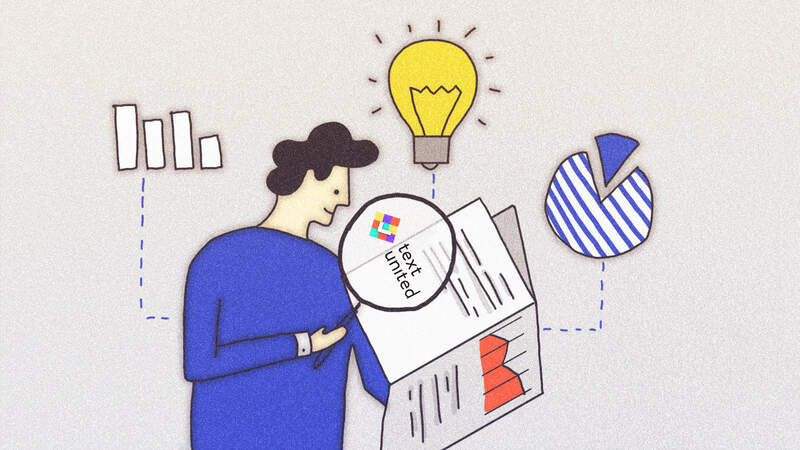 As you know, Text United provides all the necessary tools for managing your localization project and we always keep on improving them and adding new ones. Today, we proudly present a new feature for advanced project management – tracking changes in translation projects at Text United. What exactly is tracking changes in translation projects option? With this feature, you will be able to keep a detailed track of changes made by your translator or proofreader. This allows for a more active approach to localization in which you can actually see changes to specific words and in any case, make corrections before the changes spread to the whole translation project. Of course, this feature is an advanced project management tool. It’s already possible to have an insight into translation and proofreading effort by generating a translation history report and QA report. However, generating the report in Microsoft Word will give you more in-depth information on the exact words that have been changed by the proofreader. For additional collaboration with your team – translators and proofreaders will also be able to generate the report and see tracked changes from the translation editor itself. How to use tracking changes in translation projects option? From the project details page, click on See tracked changes and download the report in .docx format. The report will not contain the document in its original formatting, but only the content of the segments – plain text, where the effort from proofreading, is visible. Now, when the segment is edited by a translator or a proofreader, you will be able to see the additional changes that have been made to the segment after it has been confirmed by the translator. Using this feature means more control over your translation projects even when it comes to the smallest details in the translated text. This also contributes to transparency and therefore, clear communication between the members of the team – the backbone of an advanced, collaborative translation management platform. If this is what you search for, feel free to contact us or make use of our free trial and test our translation management system yourself!